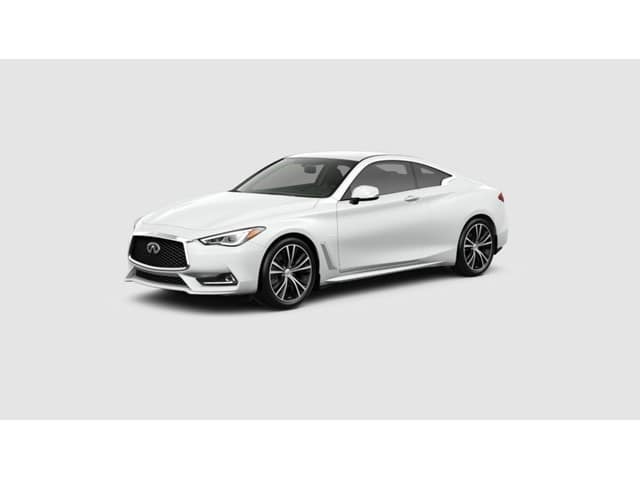 The luxurious 2019 INFINITI Q60 offers two turbocharged V6 powertrain options. Both promise jaw-dropping performance with super fuel efficiency. The 3.0-liter twin-turbo V6 engine options provide innovative technologies to allow the driver to control the performance. One engine provides up to 300 hp which creates up to 295 lb-ft torque. This lightweight aluminum engine has innovative cooling and valve timing system. It is found standard on the PURE and LUXE trim levels. The other engine produces up to 400 hp. It provides responsive acceleration you can depend on. This powerful and efficient engine has a turbo speed sensor and advanced turbine blade design. It is standard on the Q60 RED SPORT 400. Both configurations have a water-cooled intercooler system which rapidly cools air as it is taken into the engine. The result is improved acceleration that provides you with improved efficiency and performance. This great engine was named to the Wards 10 Best Engines list in 2018. Visit Red Noland INFINITI in Colorado Springs to find out more about the 2019 INFINITI Q60. There is so much to love about this luxury coupe and we would like to introduce you to it all! Choose from one of our available Q60 models or work with our helpful sales staff to order your Q60 exactly how you want it.